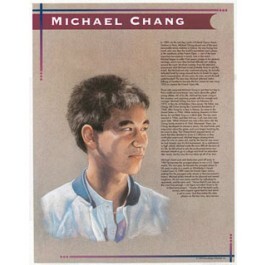 This educational poster of tennis player Michael Chang features a striking original illustration of him, as well as a concise biography. Michael Chang was born in 1972 in New Jersey. His father was a Chinese immigrant who left China during the Chinese Revolution. Michael started playing tennis when he was only 6 years old. In 1987, while still a teen, he became the youngest player to win a U.S. Open match. In 1989, he made history by becoming the youngest male winner of the French Open. 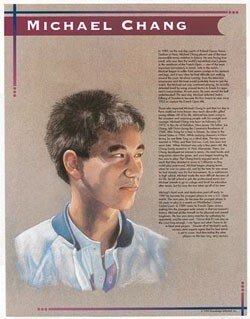 This poster is a great way to introduce students to this great Asian-American athlete.